Our next influencer is a fellow blogger + gal full of creativeness + millennial who’s killing the game, Ashley Moline. I met Ashley through my sorority, ZTA and also through our majors. I’ve followed her journey as she’s blogged, showcased her fab outfits, and changed her [so-fun] hair color. She’s truly a kind spirit, and I’m so excited to share with you all what she had to say. Introducing Ashley Moline, of Shop Riffraff + Charlie Southern. A: I am currently the Photographer and Graphic Designer for Shopriffraff.com [Riffraff Fayetteville and Dallas] as well as for our sister company, Charlie Southern. I started with the company almost 4 years ago working as a Shop Girl, or sales associate, for Riffraff Fayetteville. After working in this position, I quickly worked my way up to the Stylist and Visuals Store Manager–with this position I managed the store front and took care of all visuals on the floor such as visual merchandising, window displays, and in-store styling. While holding these positions, Riffraff launched it’s online store, Shopriffraff.com. Upon graduation in 2014, I accepted a full-time position with the company working for the fairly new online store. My first position in the Riffraff HQ was the Lifestyle Content and Visuals Manager. In this position I continued working on the sales floor doing visual displays and running the Riffraff Fayetteville Instagram account as well as now running the Shopriffraff.com blog site. As far as Lifestyle Content went, I would post style blogs and write-up creative blurbs for our merchandise, help out with large photo shoot campaigns [for example: find locations and compile props for the shoot], and anything else that fell into the Lifestyle of Riffraff. After some time in the position, I stopped visuals with the store and began only working in the headquarters. I am now the photographer/graphic designer for anything Riffraff and Charlie Southern. My main duties include marketing for Shopriffraff.com, Riffraff Fayetteville and Dallas, and Charlie Southern. I photograph all new merchandise for both websites, as well as create marketing graphics for the Shopriffraff and Charlie Southern Instagram accounts, and photograph all campaign shoots. A: I attended the University of Arkansas where I completed a Bachelor of Science degree in Apparel Studies: Merchandising and Product Development. A: I am fortunate enough to work for a company that is all about women em[power]memt. Everyday [at work] I am surround by young women who push each other and motivate each other to be the best girl boss that one can be. Although there is no negativity towards women in my place of work, I know that it exists. I think the best way to handle negativity, in any situation, is to be above it. 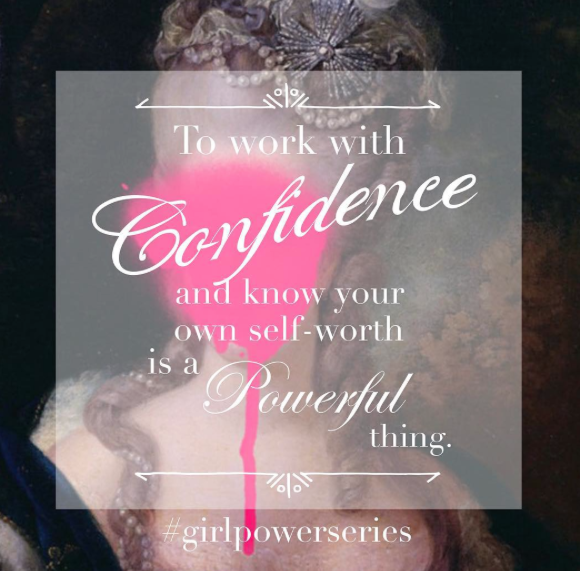 To work with confidence and know your own self-worth is a powerful thing–a powerful thing that can push negativity out the door. A: As cliché as is sounds, my number one role models are my parents. Maybe one of my answers should be Anna Wintour or another powerhouse woman in the fashion industry, but the truth is, she didn’t teach me my value or self-worth. She didn’t teach me how to ride a bike or how to tie my shoes. She didn’t help me with my math homework or tell me “I can do anything I set my mind to”. Yes, she did teach me much about fashion through volumes and volumes of Vogue magazines, but she didn’t teach me hard work. I learned that through years of watching my mom and dad raise 3 children. They fed us, put us through school, encouraged us, and loved us, all while working extremely hard to provide a life for the 3 of us. Again, as cliché as is sounds, I wouldn’t be anywhere without their unfailing love and support. The two people who taught me and continue to teach me everyday that hard word, humility, and Jesus are the keys success, will always be my number one role models. Them and Jennifer Lawrence, of course. A: Everyday. In a world filled with competition, negativity, and much self-doubt–feeling like, “I’m not skinny enough” or “I’m not smart enough”–it’s hard to not feel like you’re not good enough. This is an issue that many people face, not just in the work place, but in life. I’m in the time of my life where I have to start becoming an “adult”. I am a recent grad, I live on my own, and I have a job… thankfully. Most people my age are going through the process of job searching and that alone can be extremely tough. Application after application, not getting a call back, or not even getting the interview at all can fill a person with a lot of self-doubt. Thankfully, like I said, I have a job… So I’m not feeling the pressure of that however, that doesn’t mean I don’t have the feeling of not being good enough. There are many days I feel like I don’t have what it takes to be in the industry that I am in. It’s competitive, everyone wants to be the best, and this pressure can start to weigh on you. How do I deal with it? I remind myself that I have purpose. I remind myself that I was given certain talents and to channel those talents. I remind myself that I am not anyone else and that’s okay. I have my own skill sets and my own goals and how I use them and how I reach them is up to me. Overcoming the feeling of not being “enough” isn’t easy and it will probably never go away. But the best thing is to remember that everyone feels this way at least once in their lifetime, even Kanye West. A: I love design. In more ways than one, but in this instance I’m talking about Interior Design. Before making the decision to pursue a degree in Apparel Studies, I thought heavily about going to school for Interior Design. I really enjoy working on my own apartment or helping others create their own space. I’ll spend hours creating a “Future Home” Pinterest board, binge watching HGTV, and dreaming up the perfect space that I will call home one day. I am also really into photography. I’m practically addicted to Instagram and I spend more time thinking about the perfect Instagram photo than I do things that actually matter. A: Binge watch Netflix. Right now I’m on a kick watching Friday Night Lights, thanks to everyone at work. Also, as silly as it sounds, I like to daydream. There’s just something about escaping for a while that can really relax a person and also fuel their creativity. A: I’ve heard a quote before. One that I think… No, one that I know every 20-year-old can relate to: “Your twenties: The era when you gotta make sh*t happen but all you wanna do is chill.” I can’t even tell you how often this quote runs through my head. Life would be a lot easier if things were just handed to you, but like my dad always told me growing up, you won’t get anything if you don’t work for it. And yes, while life would be a lot easier if things were handed to you, would it be worth it? Probably not. If you don’t work for it, you don’t deserve it and there for, you can’t be proud of it. Now, I’m sure my twenty-year-old advice might not stay the same as I get older because I have a lot to learn between now and then and I will make many mistakes during that time. However, the most important thing is that I learn from them and make better mistakes tomorrow, and I say better because I will always make them. I think the most important advice that I can give to myself [and to others] is to be confident, slow down but always work hard, and take time for my/yourself. I often have to remind myself that I am only 22. I tend to be hard on myself and sometimes wonder, “Where are you going in life? !” I feel that “at my age” I should be further along than I am, and I start to look at the success of others and compare mine to theirs. As they say, “confidence is key”, and it’s important to remember that and to know that everyone’s path is different. Your success is determined by how hard you work, not how hard others work. So with confidence and extreme hard work I believe you can achieve anything however, it’s important to set your own pace. Don’t worry about who is climbing that ladder faster than you, worry about how you’re climbing the ladder. Take time for yourself, enjoy life, and climb the ladder with pride in your own hard work. And always remember that sometimes it’s okay to just chill. Hearing from other twenty-somethings is always something I love because they really do seem to all agree that its ok to take a breather and chiiillllll. We can all agree that we need more of that, right? 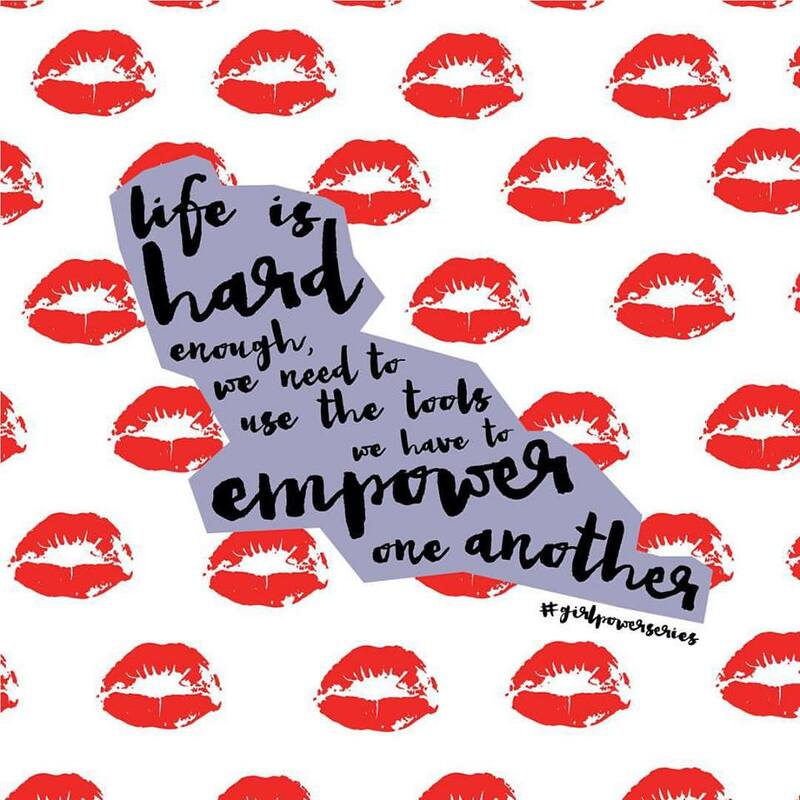 Stay tuned for the next influencer + be sure to follow the @GirlEmpowerment insta!